STANDISH — Standish was the hottest real estate market in Maine in 2018, according to Maine Life Real Estate Company. A total of 195 properties were sold for an increase of nearly 17.5 percent, the company said, and the median selling price was $233,633, up about 1.5 percent over last year. The company creates its annual Top 10 list using data from the multiple listing service, operated by Maine Real Estate Information Services. It says it then calculates which municipalities had the largest increases in home and condo sales that year as compared to the previous year. Standish came in fourth place two years ago and didn’t make the list last year. Other towns on the Top 10 list, in order, are Auburn, Biddeford, Brunswick, Waterville (last year’s winner), Gorham, Yarmouth, Sanford, Saco and Falmouth. 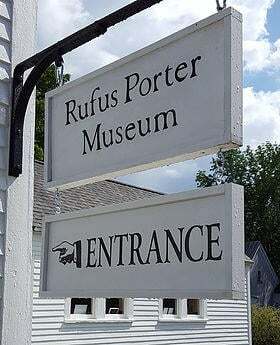 BRIDGTON — The Rufus Porter Museum has received a $40,000 gift from the former National Museum of Decorative Painting in Atlanta, Georgia. The money will be put toward toward acquisitions and operational costs, the museum said in a press release. After 36 years of operation with the purpose of collecting, preserving, and displaying the art of decorative painting, the National Museum of Decorative Painting close in 2018. The Rufus Porter Museum, 121 Main St., reopens for the season June 15. STANDISH — Standish Parks and Recreation will hold a Valentine’s Day luncheon with Maine storyteller Mike Harris Thursday, Feb. 14, at the Gorham Municipal Center. Harris has spent years collecting anecdotes and humorous stories, traveling across New England and Canada to share his tales. The lunch will include lasagna, meatballs, salad and dessert. Transportation from the Standish Municipal Center is included. Attendees will depart from Standish at 10:45 a.m. and return at 1:15 p.m. Cost is $19 per person. To register, visit www.standishrec.com. The Rufus Porter Museum will use a $40,000 gift to help with acquisitions and operational costs.